#CedefopPhotoAward is back! Take part to win amazing prizes! 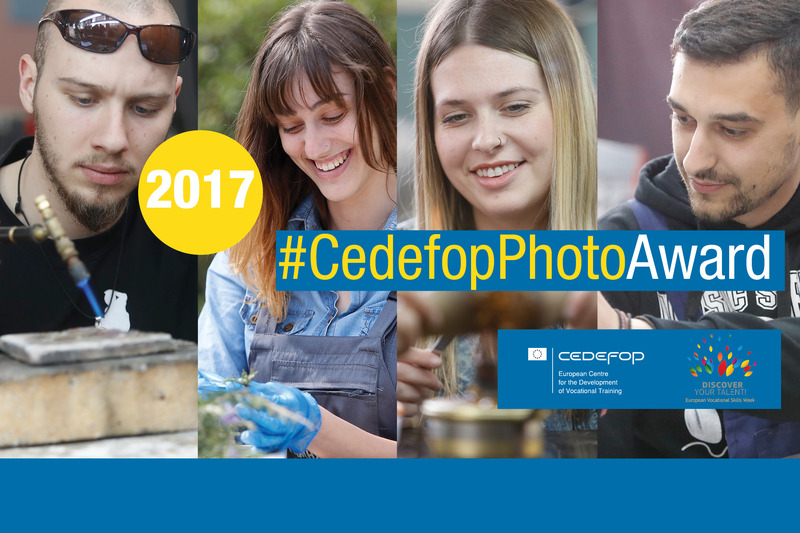 Following the success of Cedefop’s photo competition last year, #CedefopPhotoAward is back in 2017. Groups of vocational education and training (VET) learners in the European Union can share their VET stories for a chance to win a trip to Brussels or Thessaloniki. This year the competition theme is built around the collective experiences that learners acquire while training in VET. #CedefopPhotoAward 2017 is open to groups of up to three VET learners, who are expected to produce an original photo story along with a short narrative that will explain the idea behind their work. Initial VET students and lifelong learners alike are welcome to take part. Individual entries will not be accepted. First-prize winners will travel to Brussels for the closing ceremony of the European vocational skills (#EUVocationalSkills) week on 24 November. Winners of the second prize will attend the opening of the Thessaloniki International Film Festival (#TIFF58) on 2 November. The works of all winners and runners-up will be showcased in special exhibitions in both cities. Cedefop and the European Commission will cover all travelling and accommodation expenses for the first and second-place winning teams and a teacher/tutor for each. For a detailed overview of the competition rules and the application form, go to the #CedefopPhotoAward 2017 terms and conditions page. Are you excited to join but still in need of inspiration? Make sure to check out our video with the students and teachers of the Oraiokastro vocational school, in Greece. Also, don’t forget to follow us on Instagram, Facebook and Twitter for live interaction and exclusive updates on #CedefopPhotoAward 2017. Add photography to your skills!